Birth Art, Part II….Mother’s Day Photos! Happy Mother’s Day, everybody! It’s my first one. 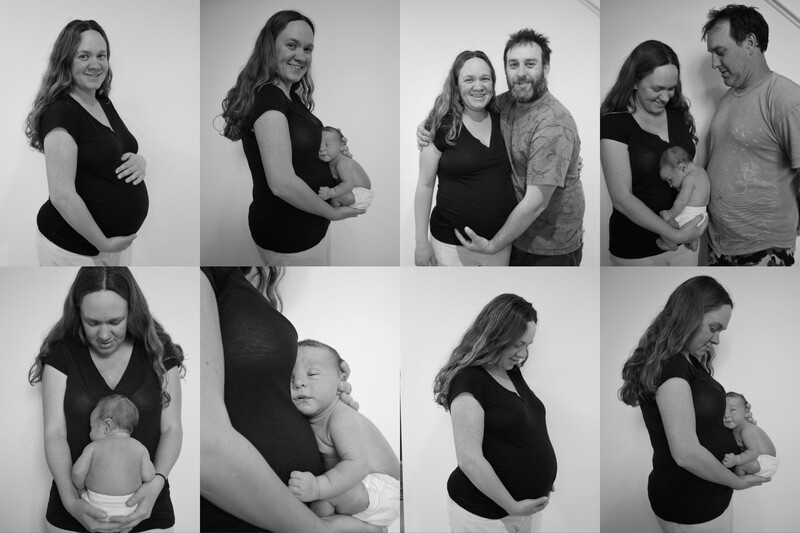 I thought you might enjoy these photos that we did just before and just after Rio was born. I could have done a little better job making sure the lighting was the same for both sets, switching to black and white helped a little, but oh well, new mommyhood is too crazy for perfection! Enjoy! Tags: before and after, Katie Painter, newborn photos, pregnancy photos, Rio Camberlango. Bookmark the permalink. This photo series is SUCH a cool idea. I love them!